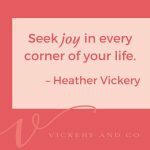 Un-had Conversations | Life + Business Coach | Vickery and Co. So what is an un-had conversation? It is simply a conversation that you have not had that you wish you had. Typically these conversations are hard to have and take a lot of trust and courage, but not always. Un-had conversations can be anything from telling a friend that you’re sad because you don’t see them often enough to confronting a client who is behind in payment. How many of you have un-had conversations that eat away at you? Things that you wish you had said or done to get something off your chest, ask for or receive forgiveness or avoid regret? Well, if you are anything like me you have had many moments like that. The good news is that it is never too late to have these conversations. Yes, it might feel a little out of place if the un-had conversation is years overdue but you have the power to rewrite the story! I have even had conversations with those that have passed by writing a letter and then burning it. The conversation is about you. It is about releasing any pain, shame, guilt or regret that is holding you back. When I first started my blog, I wrote about living without regret. I think this falls in that same category of listening to your inner voice and trusting your gut. A few years ago, I realized that un-had conversations took up way too much space in my mind and my heart. They seemed to take over and put this heavy cloud on everything I did. It was too much and unnecessary. I decided right then and there that I would face situations head on. I would eat the frog. As Mark Twain would say, “Eat a live frog every morning and nothing worse will happen to you the rest of the day.” (also check out the book “Eat That Frog! 21 Great Ways to Stop Procrastinating and Get More Done in Less Time” by Brian Tracy). Don’t get me wrong, jumping head first into uncomfortable conversations is not my idea of a good time — but neither is sitting with the weight of the un-had conversation. I truly believe that talking things through, rather than holding on to them, is part of a healthy life balance. For me, designing my life to have balance in every aspect is a top priority. Heck, that is why I designed my Chaos to Clarity audio course — because I have spent so much time figuring out what I want, identifying why the hell I didn’t have it yet and then creating systems to get me where I wanted to go. It was work-life balance at its best and it completely changed my life. Today I encourage you to ask yourself what un-had conversations are out there taking up residence in your heart and mind. Are you willing to take the plunge and talk it out? Give yourself the gift of releasing these conversations from your life. Want to share your un-had conversation stories with me? I would love to hear them! Drop me an email, Facebook Message, or Instagram and we can celebrate together.